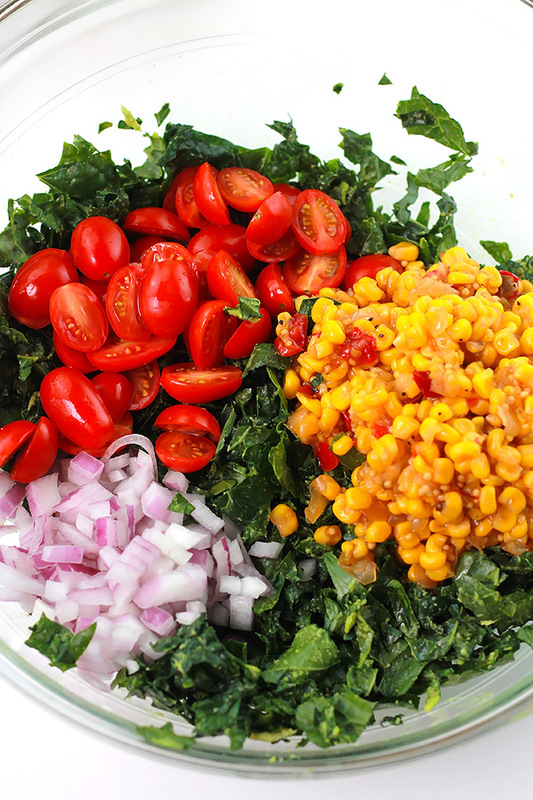 Crisp, creamy, delicious powerhouse salad, this Kale Corn Relish Salad is perfect for lunch or dinner. Powerhouse veggie, Star of the party! This salad served as a dip and was the star of the party. I am lover of all things kale, I start everyday with a green smoothie that always includes kale, but not everyone loves kale as much as I do, so I wasn’t sure if this dish would be a hit. My thought was if it wasn’t there would be more for me. Turns out everyone loved it, even the children, oh how I love it when the little ones eat their veggies and love them. A very important step in making this salad is massaging the avocado into the kale to help soften the leaves. If you have little ones this is a step where they can help. Don’t forget to clean those hands first. 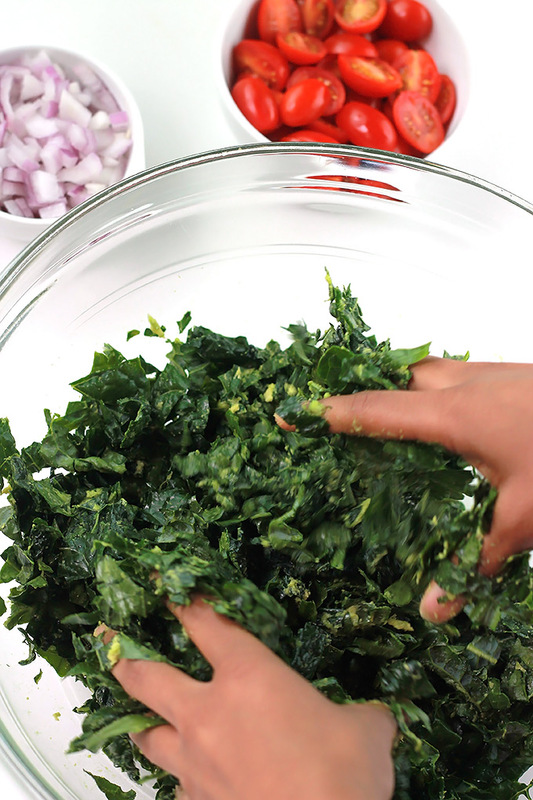 Add in the remainder ingredients, mix and you have yourself a most wonderful, tasty power packed Kale salad. 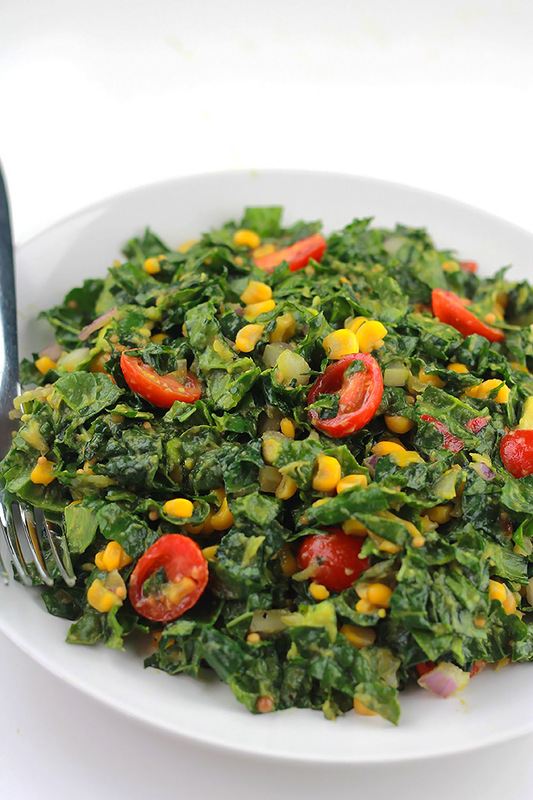 Kale has protein and fiber and is high in beta carotene, vitamin k, c, lutein, zeaxanthin and calcium. Kale like broccoli contains sulforaphane, especially when chopped or minced and sulforaphane is a chemical with strong anti-cancer properties. Warning, once you start to eat this goodness, it will be very hard to stop. Even those that say they don’t like Kale, loved it. I think I may have to make it again very soon. This looks so good girl! Love all the colors. Can’t wait to try it out for myself!! Thanks Katerina, I hope you like it! What a lovely lovely salad! I’m in love! 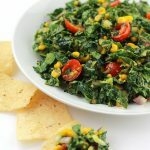 I am a big fan of kale salad so I had to hop by from the Lou Lou Girls’ blog hop to see your wonderful recipe. Who can resist a salad made with these yummy ingredients. I can’t wait to make this! I am vegan so I love trying new salad recipes like this one! I’m subscribing and following you on social media to staty in touch. 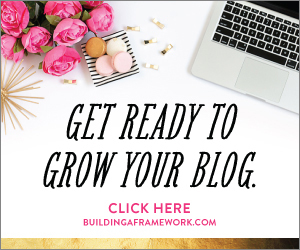 Feel free to visit my plant-based site as well. I hope you enjoy this salad as much as I do.Thanks for stopping by and I will definitely visit your site, it’s always nice to fine a great plant-based site. Wow! I’m lulled by the bright vibrant colors here! I totally team kale! 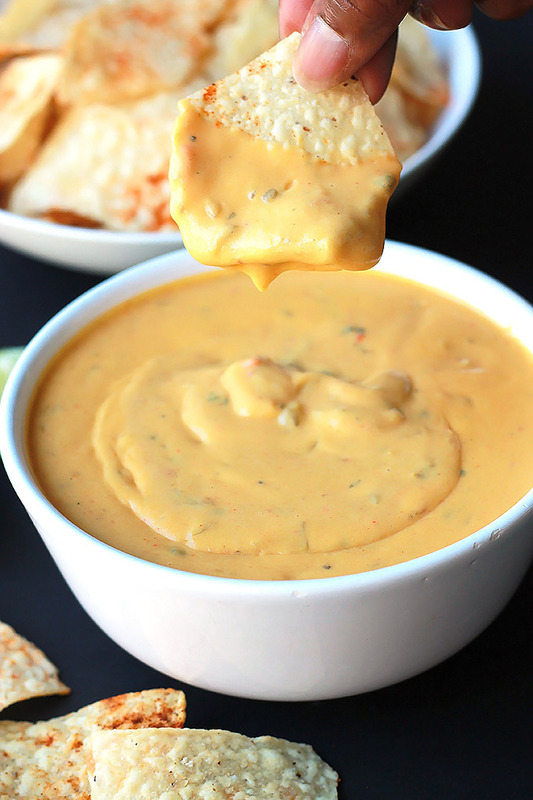 This looks delish Celeste! Thanks David, it’s such a simple salad but has big taste! This salad looks amazing Celeste – it basically screams SUMMER! 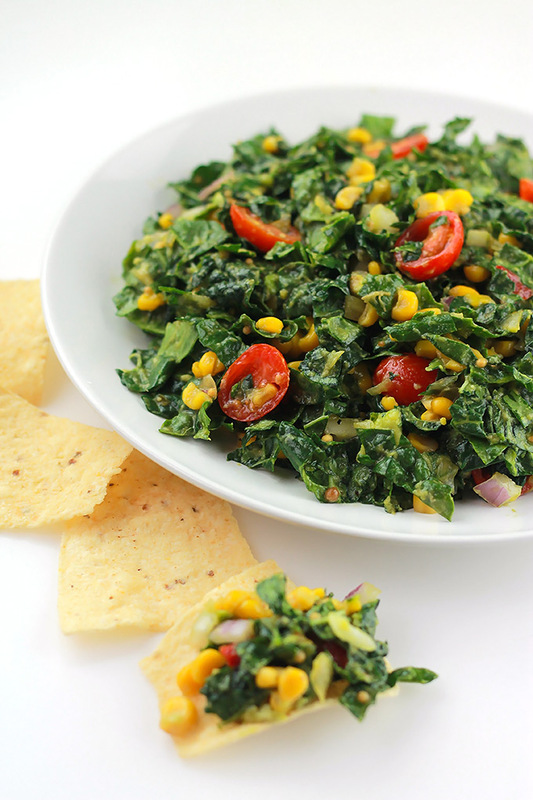 I have never done a kale and corn salad but you definitely have inspired me 🙂 Hope you had a wonderful weekend! Thanks Jessica, have a great week! So excited for you. Gonna try this. I love kale. Thanks Shree, let me know what you think.